Do you enjoy the outdoors? How about exploring what’s out there on off-highway vehicles (OHV)? Want to make it a great family adventure where you can bond and have quality time together? I will give you some ideas to try with your family and show you what we have done to make great family memories on OHVs! If you love riding OHV’s as much as I do, don’t think you need to sell all those fun toys when you have kids! The trick is, get your kids involved in the hobbies you like and they will enjoy those activities just as much as you, if not more! When my wife and I started having kids we did just that. We ended up purchasing a side by side, which is one of the best purchases I have made. The number of memories we have, and are still making, are priceless. My favorite memories are when my wife and I would pack snacks and a picnic lunch for us and the kids. We would go explore the trails while the kids loved to have their snacks while we rode along the trails. Sometimes they would even doze off and take a short nap! Then we would always find a nice spot to have our picnic lunch. While we sit and talk about the things we saw on the trail and enjoy our lunch, the kids would usually go off and play in the woods for awhile. Then we would load back up and head out for more adventures! 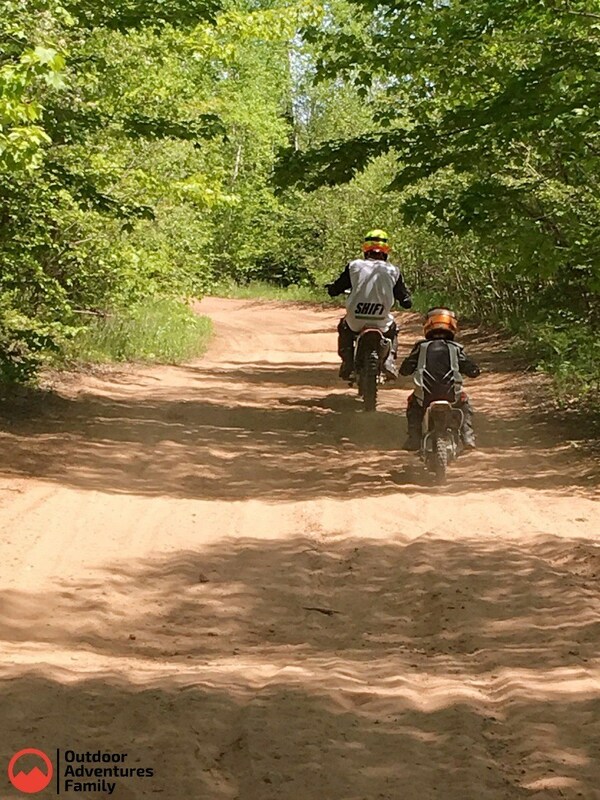 Now that the kids are getting older, they want to pilot their own OHV. There are a few options for youth powersports. They have the mini side by sides, four wheelers, or dirt bikes. We started our kids out on four-wheelers, then moved them up to the kids size side by side. The kids have now shown more interest in dirt bikes, which adds a whole new element of fun and adventure! We will talk more about dirt biking in future posts. If you enjoy camping near trails to explore, have a cabin or hunting shack with trails nearby, enjoy getting in the woods to pick berries, or just want to ride around your yard, getting your kids involved in OHVing is something you will never regret and the memories will last a lifetime.